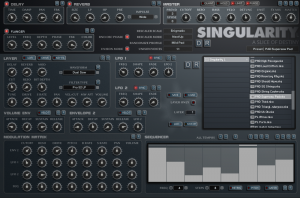 Singularity is a single Layer from Destiny the forthcoming Multi-Layer/Multi-Timbral Synth for kontakt 5. At the moment Destiny is part of the Augment Group Buy and will be unlocked at Level 6 when enough people take part. The Group Buy is just $14.99 to take part.